I’m extremely fond of ice cream. I mean it really doesn’t phase me whether it’s Summer, Fall, Spring, or Winter. I will happily sit in my living room with a bowl of ice cream as I watch the snowflakes fall to the ground. Rocky Road, Cotton Candy, Strawberry, Chocolate, Peanut butter, Pistachio.. you name it, i love it….give me all the flavors! Ice cream is always in season. 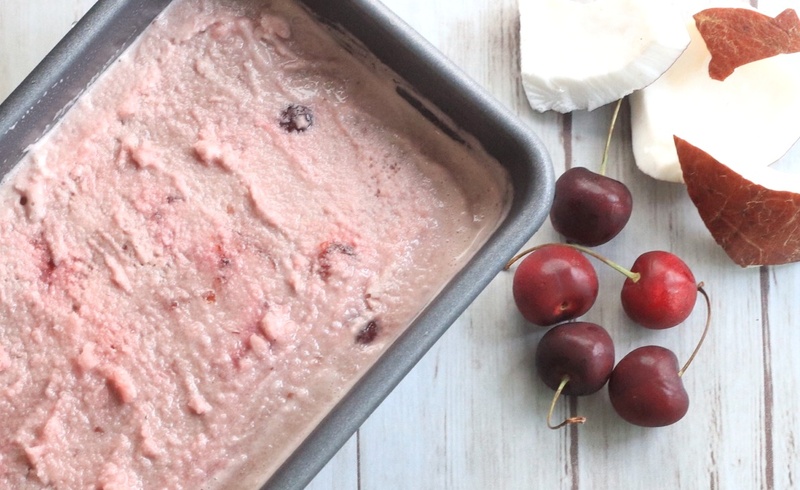 So, today I’m sharing my Non-Dairy Coconut Cherry Ice Cream. It’s so easy! It only has two ingredients! I’m using So Delicious Dairy Free Coconut Milk Creamer in French Vanilla as my base. This not only makes it a non-dairy ice cream but, it also eliminates the need for any other added ingredients (except for the fruit!) because it’s perfectly delicious, sweet, and creamy on its own! So, I’ve been toying with the idea of making a non-dairy version for awhile now. This was my first time trying coconut milk creamer and I was blown away by how amazing the flavor is. It is so smooth. By adding the cherries as our fruit of choice, it’s the perfect addition of tart and sweet. Cherries are one of the healthiest fruits you can consume. They’re full of antioxidants, which can help fight against ageing. They can help ward off diseases. Plus they are even a source of melatonin. 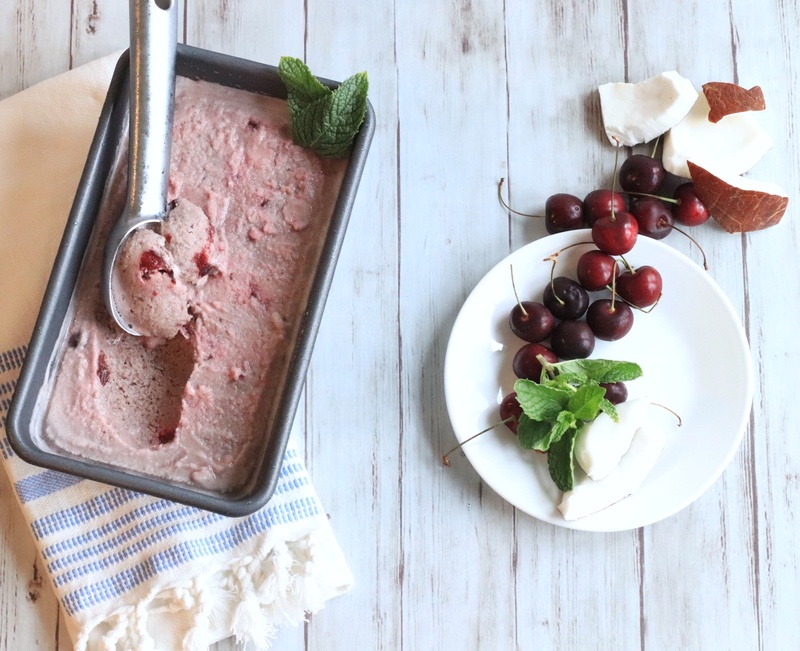 So, you can actually feel good about eating a bowl of this sweet & tart, creamy “ice cream” right before bed! To begin, I mixed one quart of Coconut Milk Creamer with a cup of cherries in the blender. I poured that right into a loaf pan. Separately, I pureed another cup of the cherries. Then, I swirled that puree into the creamy coconut-cherry mixture already in the loaf pan. Finally, I added some chopped cherries as well. Covering it loosely I placed it into the freezer. Usually, it freezes after about six hours. I ended up leaving it in overnight! It was the perfect consistency the next day. I honestly couldn’t believe how amazing it turned out. You can’t even tell that it’s dairy-free, the coconut helps keep it creamy! Using the Vanilla Coconut Creamer as a base you can pretty much create whatever combination you want. Blueberries, raspberries, strawberries, or peaches? You can use fresh fruits or frozen. Whatever you’re craving! It’s an easy, go to recipe! 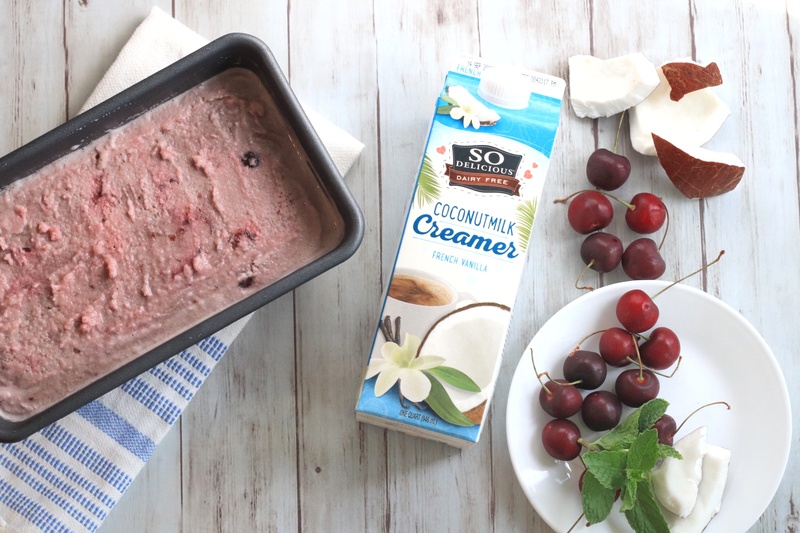 Mix one quart of Coconut Milk Creamer with one cup of cherries in the blender. Pour that right into a loaf pan. Pureed another one cup of the cherries. 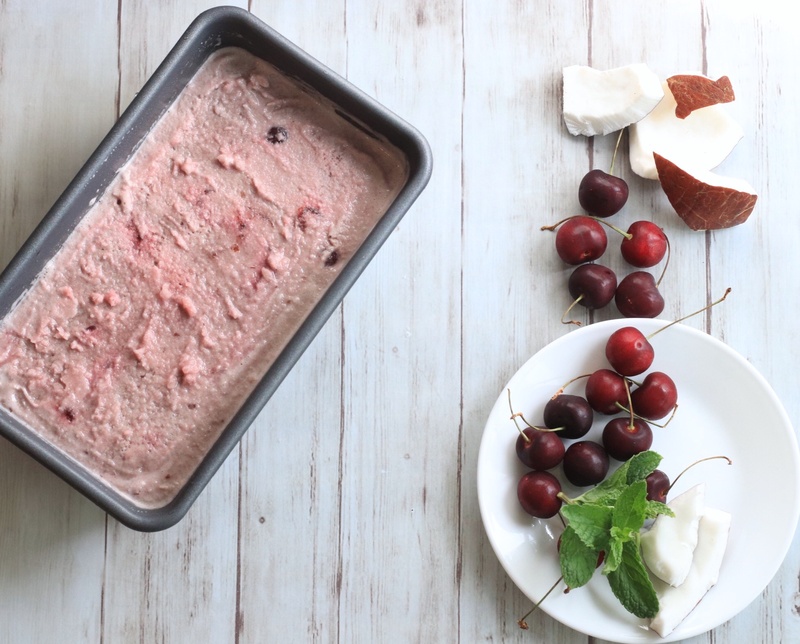 Swirl into the creamy coconut-cherry mixture already in the loaf pan. Add chopped cherries to the top. Cover loosely and place in the freezer. Freeze for about six hours or until ready to enjoy! Yummy!!! I am so glad to see this! I was trying to come up with some healthy treats for clients! Can not wait to try this one!! YUM!!! All over this! I love Diary free & Simplicity!! Will be mixing and matching flavors for sure. Thanks for sharing. Yum! I will definitely try this out! I’m always looking for good non-dairy ice cream recipes! Oh my that looks sooo tasty and creamy! We <3 non dairy ice cream. Each recipe looks more and more taste! 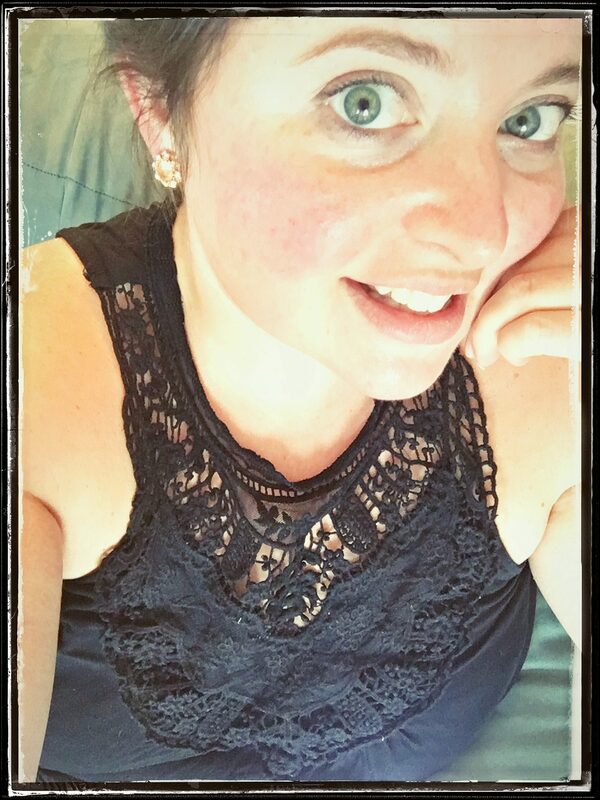 I just subscribe to your e-mail list, can’t wait to try them!!! Thank you so much! I’m so glad you stopped by and subscribed! I look forward to checking out your site as well. I’m glad you’re enjoying the recipes! Definitely looking forward to trying this! I used to make dairy free ice cream using actual coconuts and it was so labor intensive. This looks so much easier! 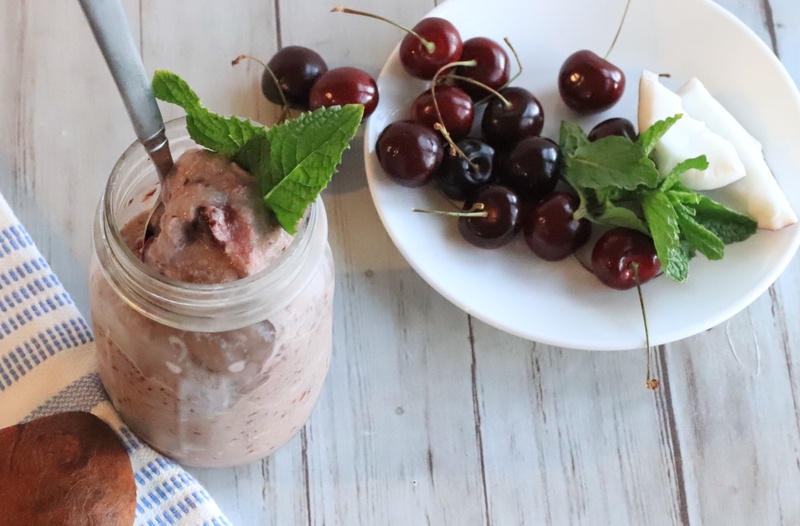 I love cherries….I have no idea why it never occurred to me to make ice cream with them! Oh wow, that sounds AMAZING, but yes labor intensive for sure. This definitely takes a lot less time, especially if you opt for the frozen cherries! Thank you so much! It’s so easy too! Haha 😂 yes. I hope you enjoy! Yum! This looks super easy too! I love both ingredients already so this is a no brainer to try. Absolutely, it’s so easy. Especially if you try it with frozen cherries! Yes, it’s such a good combo! Thank you ! I’m so glad you stopped by!